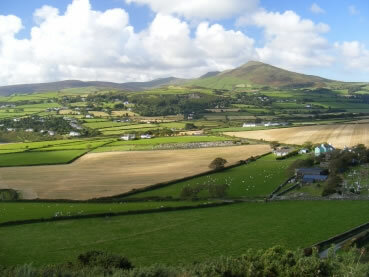 Ever been to the Isle of Man? There’s plenty of good walking to be done here. Regular contributor Mac Hawk has added three varying routes on the island – one up a hill, one around a headland and one along the coast. The Isle can be reached by ferry from Heysham, Liverpool and Belfast. Time to start planning your own trip! Look out for a blog on Martin’s trips, which will be online shortly. We have something special up for grabs in our latest prize draw. 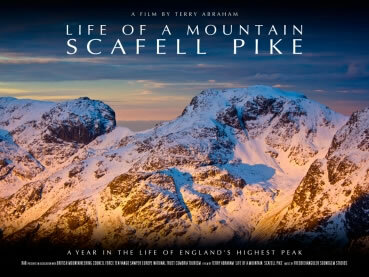 Anyone who loves mountains will enjoy this stunning film from Terry Abraham, ‘Life of a mountain: Scafell Pike’ – a celebration through the seasons of life on and around the roof of all England. We have five copies to give away, thanks to Terry (who himself is a car-free walker). To enter the prize draw, simply submit a walk to the website before the end of March. And the more walks you enter, the more chances you have to win! We’re nice like that. A big thank you to Ordnance Survey for providing prizes for the last-before-one prize draw, and belated congratulations to our winner, David Brown. Last autumn, we asked two of our regular walk submitters to write up some of their walks for our blog. Regular correspondent Pete Roberts selected his top five walks around his home in North Wales. You can read about his selections here. Meanwhile, John and Sue headed down to Cornwall to enjoy a bit of the South West Coast Path. Autumn saw us visiting the Western Fells in the Lake District and cunningly dodging both crowds and the storms that hit the UK that week. Three days, six valleys, and many more pints and flapjacks along the way. Read about our trip on the blog. The next newsletter will be out in April-ish. Please send us any news and until then, happy walking!